Still haven’t “completed” the girl’s room. But, little by little things are getting done. 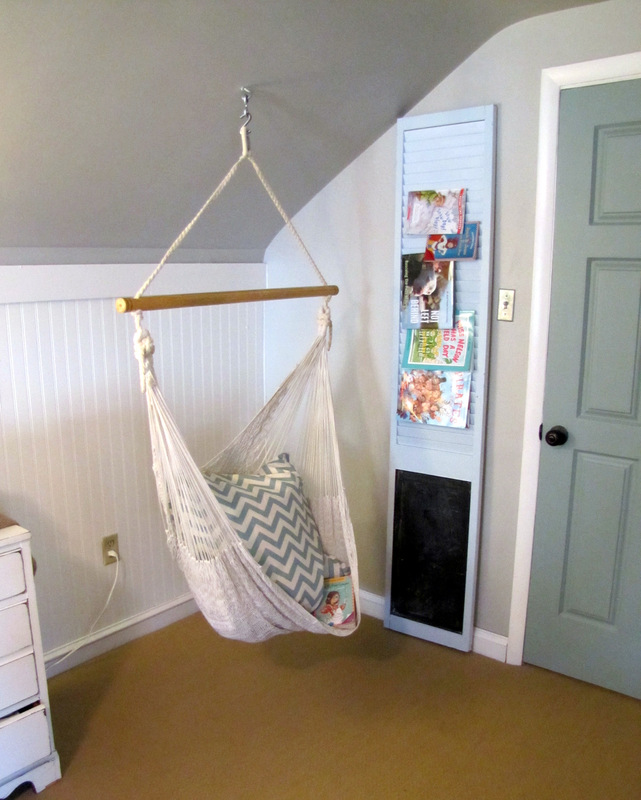 A reading swing, complete with it’s own library. The louvered door was found on the side of the road. 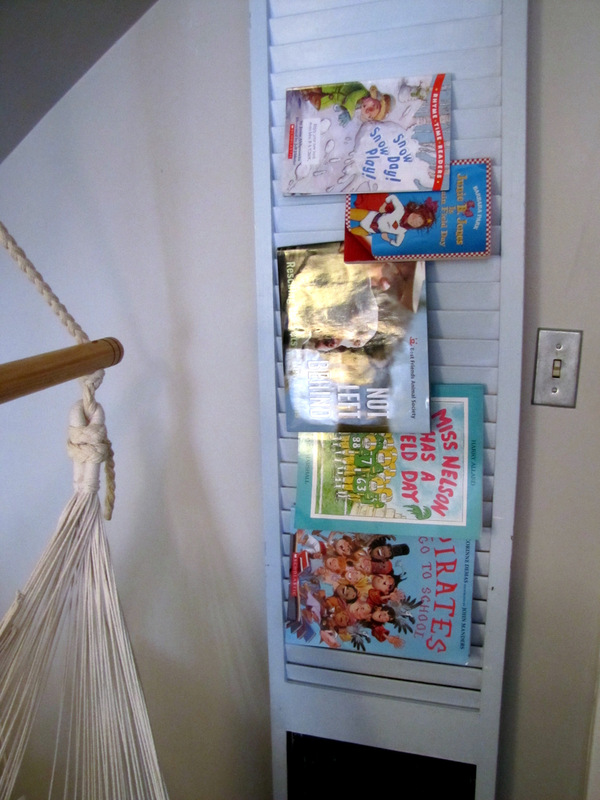 I painted it, added chalkboard paint to the bottom, and use it to hold the girl’s books. p.s. I love the color of the door. I don’t even want to hang the shoe rack back up! See the switch plate cover? They are about 67 cents in the hardware stores. When my contractor saw them, he insisted they were for electrical boxes only (as if they can go nowhere else). I love the industrial farmhouse look they give a room. 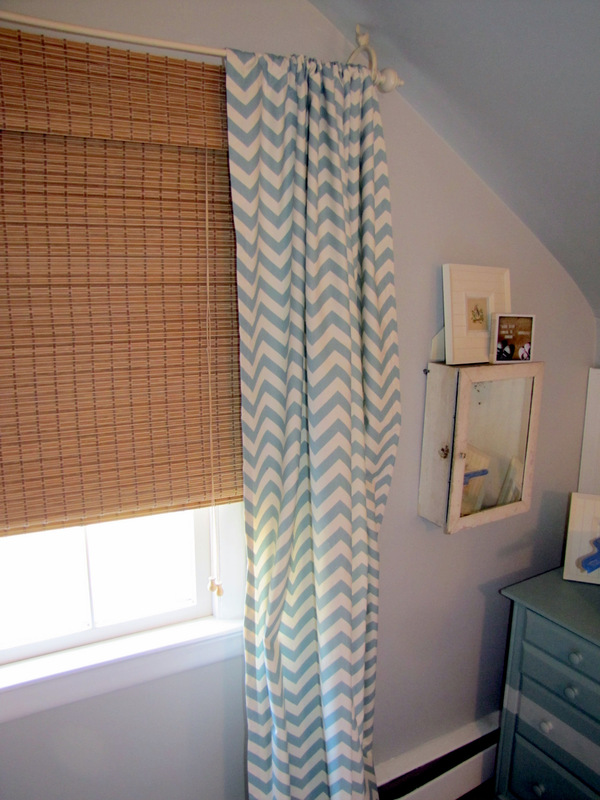 I also got around to hanging the chevron curtain panels that have been lying around Camille & Lucy’s room for about 2 weeks now. Sorry girls. I love the color and they match the euro pillows on the bed. Okay, so I’ll get around to giving you a full tour of my newest favorite room soon, promise. Love the light switch plate. Did you get a big box hardware store or local? I would love to change out some in my house like this. Where did you get the fabric for the curtains? I love it and want to make some! 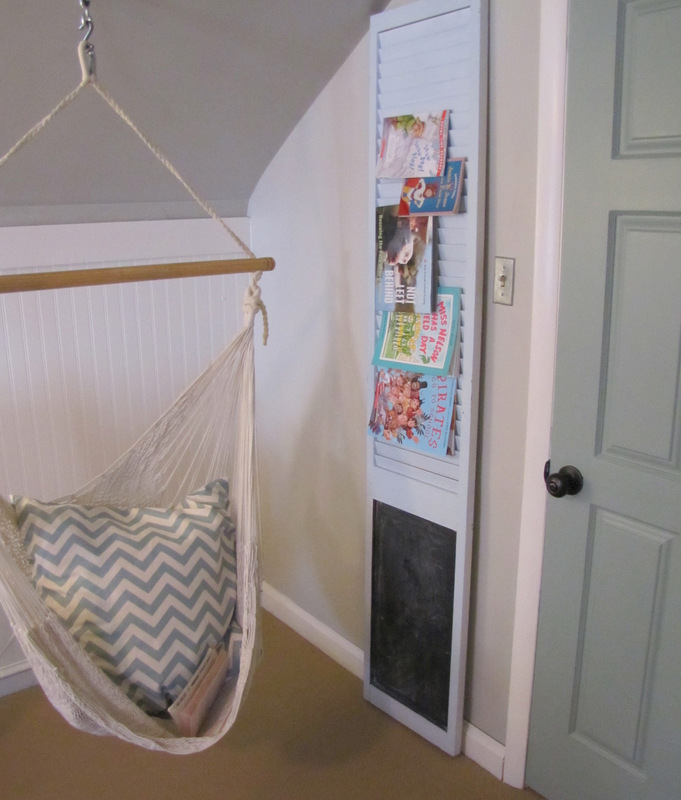 I love the reading swing…very cute and clever. I bet the girls will love to hang out on it!!! And the chevron fabric is a beautiful color. Denise it was so nice to meet you at the Home Show last weekend, you are so sweet and kind, you are one of my favorite bloggers! Ca-ute!!! I do love that door color! What is it? Aw, I LOVE it!!! 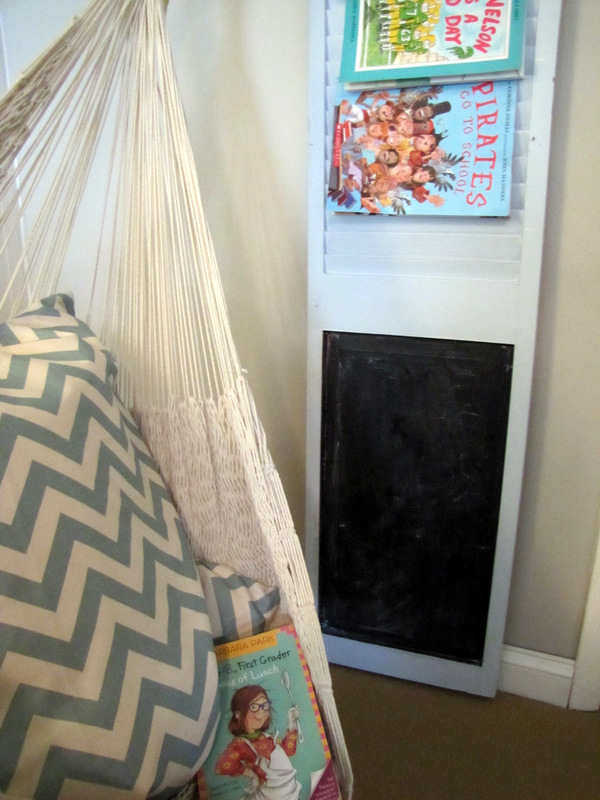 Great idea on the door for books and a little chalkboard! And the chevron stripes are so fun! Great colors very inspiring! I love it!